Madeline Beasley is one of New Zealand’s most exciting and original contemporary artists. 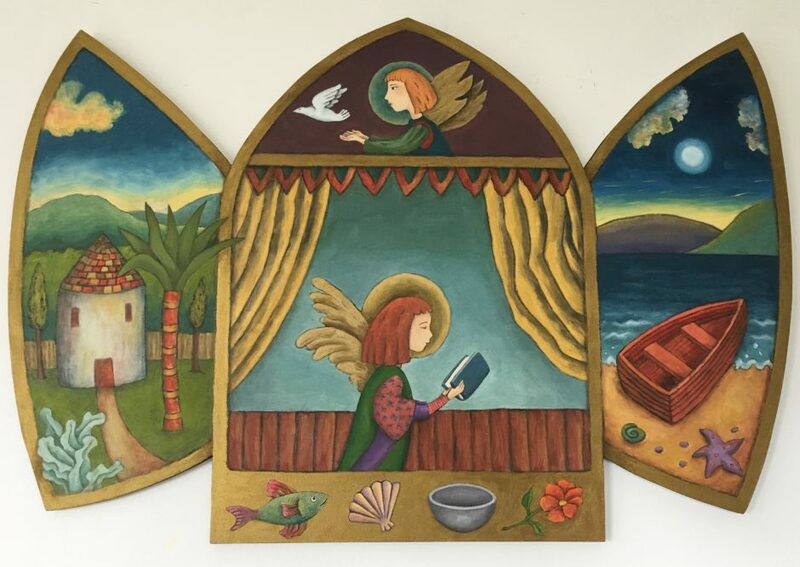 Her paintings of angels and saints are drawn on Byzantine and Medieval iconography. They are cut out of custom wood and painted in oils. You can view a selection of past and present examples of her work in the gallery pages.